Your intuition is always sending you health messages, some are more obvious than others. For instance, you may experience an insightful intuitive knowing that certain foods are at the root of your digestive problems or a persistent intuitive feeling of unease may motivate you to seek out medical advice. Some of the messages you receive may not necessarily seem to be related to your health. For instance, you may suddenly feel the need to free yourself from a limiting relationship, speak your truth, heal emotional wounds or practice forgiveness and compassion. Although not all of the intuitive messages that you receive may seem to be directly related to your health, the health and wellness of the physical body is dependent on many factors including your body’s genetic strengths and weaknesses, environmental influences, our unhealed past, our emotions and thoughts and our beliefs and spirituality. A few of the most common ways that we naturally receive intuitive information about our health and wellbeing is though our dreams, synchronisities and through an inner sense of knowing. Our dreams can reveal surprising and insightful information about our health and the health of others. Intuitive health messages slip past the conscious mind and emerge while we sleep. However nonsensical your dreams may initially appear to be, they often contain valuable but hidden significance. For instance: Houses in dreams often represent the physical body and health. A house that is crumbling and in need of repairs may indicate a need to focus on improving health and taking better care of and healing the physical body. The condition of the walls, floors, and the interior can signify different aspects and parts of the physical body. For instance the kitchen is symbolic of the heart and the bedroom often indicates sexuality or a need for more rest. The foundation of the house is particularly symbolic of the body, as it represents our core physical stamina and foundation. Cars can also symbolize the body and a road in a dream can indicate the current path that you are on. Pay attention to the condition and the color of the car as well as the condition of the road and needed repairs. If you are driving a car that is running out of gas or breaks down, this may point to a need to rest and rejuvenate, before going forward. Water is another important dream symbol. Clear translucent water is positive energy. A lack of water or cloudy water may be a message that your physical, emotional or spiritual energy is low. Hoses, taking a shower or bath, swimming in a dark pool of water or in a tumultuous ocean and other dream symbols containing water may have to do with your emotional and spiritual health, the need to physically detox, issues with the lymphatic system and they may also foretell a pregnancy. Dreams of fire, electrical power lines, digging a hole, mud, an ambulance, medical equipment, hospitals, explosions, lightning and a hungry baby can be red flag warnings of a looming health issue. Dreams that foretell healing and physical revitalization often contain positive symbols like, flowers blooming, clear skies, calm seas, puppies, rainbows and pregnancy. Synchronicity is an externalized form of intuition. Defined as the coming together of unlikely coincidences, synchronicity is a cosmic exclamation mark informing us of what we need to pay attention to. Quite often, health information comes to us through synchronistic encounters. When you experience a synchronicity avoid the temptation to dismiss it as meaningless chance or a fluke. This is the universe speaking to you and the warm touch of the divine telling you that you are being watched over. Synchronisities come to us in many different ways. The health conversation that you overhear between two women while in an elevator might be a helpful message about a health issue that you or a loved is dealing with. Spontaneously hearing the name of a particular doctor from several people may be more than a coincidence. It might be the push you need to see that particular physician. Randomly coming across an article while waiting for your car to be fixed, that describes new research or treatment for an illness or disease that you or loved may struggle with, may also be an important synchronistic message. In this same way listen and act when you feel led to reach out and help and offer support to another who is in a health crisis. You might be their synchronicity. I had a friend who in a couple of days’ time had heard of three people who were diagnosed with breast cancer. She thought it more than an odd coincidence and scheduled an appointment for a mammogram. Her test came out fine, but she still had the nagging feeling that there was an important message in this synchronicity. A few nights later she had a dream about her sister. In the dream she saw her sister driving a car with a big dent in the front. Waking from the dream she knew that she needed to call her sister and tell her about the dream and her intuition that something was wrong. Her sister took the dream and her sister’s concern seriously and scheduled a mammogram. A small tumor was found in an early stage. After surgery and chemotherapy she is cancer free. We often receive health guidance and messages through an inner sense of knowing or through an inner persistent voice. People are often confused as to how to differentiate their own thinking from an intuitive messages. The thinking mind usually communicates through a linear progression of thoughts, one leading to another and another. When it comes to health, these thoughts often become more and more worrisome and dire. We might begin by thinking about the twinge in our midsection and go back and forth from trying to convince ourselves that it is nothing to becoming concerned that our gall bladder is about to rupture. Intuitive knowing differs from this kind of thinking. Intuitive messages are short, persistent and do not change. Unlike our thinking mind that goes from one thought to another, intuitive message are consistent and persistent. Often they are heard as the still quiet inner voice. If you experience a sense of knowing or hear a message such as: cheese is causing my acid reflux, or it is time to get a mammogram, pay attention. Intuitive health messages rarely stir up emotions or cause us stress. Instead they usually bring us a sense of calm, but wise knowing. The wisdom of your mind, body and spirit, it is alway communicating to you, listen and trust it. This entry was posted in Uncategorized on April 24, 2015 by Sherrie Dillard. Happy Spring!! Time for Renewal and New Beginnings, Perhaps, it is time to take better care of your health and wellbeing. Why not do this in a fun and interesting way. The wise inner voice of our spirit is always communicating with us through our intuition . . . if only we can learn to listen. 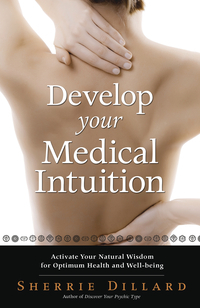 Develop Your Medical Intuition shows you how to improve your health with easy step-by-step exercises, guided visualizations, case studies, and practical advice from author Sherrie Dillard’s twenty-five year career as a professional medical intuitive. 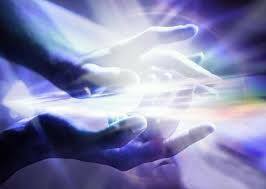 Developing your intuitive ability will help you make informed health care decisions and gain first-hand experience of the vast cosmic network of love and wisdom that supports mind, body and spirit wellness. This entry was posted in Uncategorized on April 2, 2015 by Sherrie Dillard.